Checking Back: Has the Deed Been Recorded? Virtually every state in the nation has recording statutes – laws that define the recognized owner of real property and others, such as a mortgage company, who have a financial interest in it. In most cases, these recorded statutes also determine the order of priority in which claims get paid first if and when the property is sold. While statutes may vary from one state to another, they all require that, in order for a buyer to be recognized as the legal owner, the deed must be formally recorded in the appropriate county (or parish) office. Typically, it is the title or escrow agent who files the deed for recording. Although it is rare, mishaps during this process can occur. Paperwork may be somehow misplaced at the county clerk’s office, or the county office neglects to record a deed that has been properly submitted. 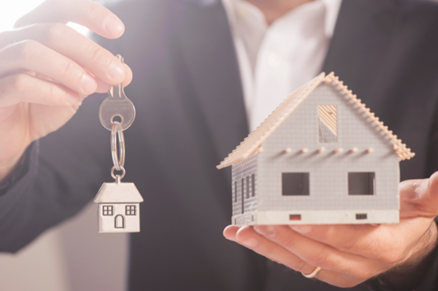 But failure to record means that an owner who wants to sell the property, refinance the mortgage, or take out a home equity line of credit is not recognized as the legal owner – and few people are aware there is a problem until they try to sell or refinance. So it’s a good idea for the buyer and/or the buyer’s agent to check back with the appropriate recording agency to be certain the deed has been recorded. You can contact the county clerk’s office and ask how to view county land records. Many counties provide access to real property records online and free of charge. Or you can contact the title company or escrow agent and ask for a copy of the recording page, which lists the date the deed was recorded and the volume and page number where the information can be found. In the vast majority of cases, the deed will have been duly recorded. If not, a call to the title or escrow agent will get recording back on track. In any case, checking to be certain that a deed has been filed can avert potential problems down the road. It can also help you toward your goal of building valuable customer relationships. Weeks or months after the deal has closed, you can let your buyers know they are still top of mind simply by stopping by one evening to present them with a copy of the recording page.